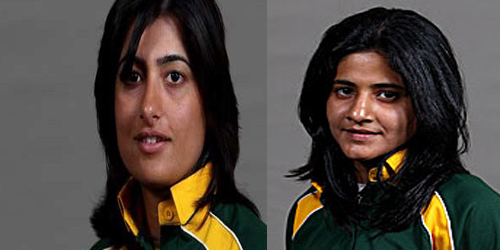 Pakistan’s Javaria Khan and Sana Mir are among the top 20 women cricketers in ICC ranking in batting and bowling. Pakistan women’s cricket team’s middle batter Javaria Khan achieved a unique distinction of making it to the top 20 women batters of the world. Javaria Khan reached this feat during recent tour of UK where she performed reasonably well both in ODI and T-20 matches. This is for the first time that any Pakistani woman batter has made it to the top 20 ICC World Ranking. On the other hand, Captain of Pakistani team Sana Mir continues to improve her ranking by her effective bowling skills. Sana Mir has jumped to 11th from her previous best ranking of 12th. The tour of UK has proved a good preparation for Pakistan team where Pakistani batter Nain Abidi scored the first ever ODI century by any Pakistani batter against Ireland while Javeria Khan also remained top scorer in the last T-20 match of the tour against West Indies where Javeria was top scorer with 37 on 43 balls while Bisma Maroof scored 36 of 47 balls.